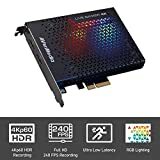 What technical issues could I face with a capture card? How do I set up a capture card? What are the differences between game recording and capturing software? 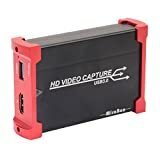 I strongly believe that even to this day, some people don’t know that there is something called a capture card, or let alone what it is used for. 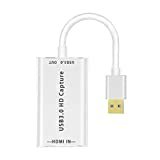 The selected few who might be in the know as concerning what a capture card is are probably high-end video gamers, or people who convert media files from one source to another. In this delicious post, I’m going to explain to you in detail what a capture card is, what they are used for, its importance, and a review of the best ones readily available in the market today. A capture card is an electronic device that uses video signals through High Definition Multimedia Interfaces (HDMI) to capture other devices. Gamers use it to capture video streams from consoles like PlayStation and Xbox, and then stream or upload the live gameplay online. Capture cards receive the data or signals from the gaming console, it then captures the signals, records or encodes it and the user can then save or upload it to the internet or uses it for any other reason he or she deems fit. Capture cards are devices that are also used to convert video files from one format to another or convert a video file from digital to high definition. By now you must have noticed that the capture card uses use high definition rendering. This is what makes video files captured with capture cards look very crisp and clear. It should be noted also that there should be an understanding between what a capture card is and what a capture software is. The capture card is a hardware device which accepts video signals and records it in real time. For PC gamers who use two computers, the primary computer is connected to the capture card which records the video signals and then sends it to the secondary computer without disrupting the flow of the primary computer. A capture software on the other hand is used to record video signals on the same PC as the one that is used to play the game. Most often than not, since capturing is going on simultaneously with ongoing game play, this could affect the bitrate of the game and the general performance of the PC. The upside however, is that the capture software are cheaper as compared to the capture cards. In this section, we will be looking at the functions, terminologies, benefits, types and the needs for a capture card. Users often find no clues to these issues, and that is why I have taking the time out to elaborate briefly on them. It will help you set up video stream. Create a channel in an online video website like vu clips and YouTube. Recoding and converting video clips and formats. Acts like a second storage for gamers apart from the disk in the console or CPU. Since some of you are new to the whole capture card thingy, listed below are some of the terminologies and their explanations, associated with the subject topic. Capture: to acquire or get live video/audio files in HDMI, radio frequency modulation, and serial digital interface formats. Encode: this is the act of converting raw data into coded formats. One of the most frequently used formats for video capturing is the H.264 CPU encoding. Record: this is the act of entering audio or video files into digital form often called media files that are can be recognized by computers and other compatible devices. Stream: this is the act of using a network to receive or transfer data continuously, which can also allow playback to occur while other data is being sent or received. Broadcast: this is the act of uploading media file contents to an audience using suitable platforms. Sharing and distribution of media file is quite new. Is was only made possible by good hardware devices and effective network. It helps you upload your game play either live or recoded unto platforms like YouTube, twitter and twitch. Some capture cards will allow the user to edit some of the clips so they look way cooler. Being able to share game clips on social media is important for gamers, as it helps for tutorials, reviews and highlight for the audiences. It will also help to format clips that have already been saved so that video about to be uploaded will look original and real. 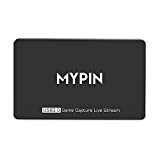 Capture cards come with their own software, thus helping you to do some live audio commentary over recorded clips and setting up streaming accounts like twitch. They offer more editing functions as compared to the ones offered by the recording software of the gaming console being used. This is made possible by the high efficiency of capturing and encoding that capture cards offer. PlayStation: capture cards for PlayStation are quite flexible and will help the gamer do some editing on recorded videos and stream them. Xbox: Xbox users can handle large footage of recorded gameplay as well making editing and streaming seem seamless using the capture cards. PCs: for gamers working with two systems, the capture card serves as a link from one system to another. Competitive gamers use this as it helps to improve gameplay with speedy fps rates and can record and stream all at once. Mac: the capture cards that are compatible with Macs are quite minimal and can only stream at levels that are acceptable by the computer. 3DS and Wii: these also have dedicated capture that you will install before you will be able to capture, record and stream gameplay. Unlike your game consoles that stream in low bitrates, capture cards record and stream in HD. You can edit and personalize you game clips so that it looks distinct from others gamers. You can recall and manage video clips stored on external storage. The sizes are so portable and nothing compared to sizes of game consoles. As far as gamers are concerned, Elgato is the best seller when it comes to capture cards. They are so friendly to use that even people who are not tech savvy will find it quite easy to install and play around with. It also gives your video recording a different look as you can personalize stuff to your taste. It can capture, record and stream game play from PS and Xbox and Nintendo using 1080p and 60 frames per seconds. With a windows 10 64-bit PC, you can stream live to YouTube, twitch and other social media channels. You can stream with supreme low latency technology. 1080p H.264 helps you record while streaming simultaneously. The input from your game uses HDMI while the output from the card uses lag-free-pass-through that’s up to 1080p 60fps. You can see that this is the device that will help your capturing, recording and streaming look quite distinctive from other gamers. AverMedia also has a lot of products in the market and is also a house hold name in the capture card industry. They are about the main competitors of Elgato products. Though some users of the card have complained of a not-so-satisfactory customer, their hardware is still one of the best money can buy. Apart from the regular consoles, you can stream and record gameplays from other consoles like WiiU and NEC Classic edition. With the H.264 and 1080p, you can stream live and in HD. Limited CPU usage, really low latency streaming and retroactive recording all comes with this capture card. It is compatible with recent streaming software like the RECentral. It comes with VGA Graphic cards and supports DirectX 10.0 c and above. This product has a very elegant and classy design, and you can get a two-year warranty if you buy directly from their website. Windows 10 users can use the plug and play features and enjoy its low latency HDMI pass-through. Features both HD compressed and uncompressed output with low bandwidth. Has multi card functions. It can support up to 8 cards for a gaming PC. The RECentral 3 software helps for editing live clips, customization quality, and capacity overlay for recording and streaming. If you don’t have one, you might want to add this to your budget so you can install it in a free PCIe slot. Very impressive 4K graphic resolution at 60 frames per seconds. Low latency technology also allows for instantaneous game view. It comes with software that allows you to record and stream to social networks easily. Some gamers like to think that this capture card is limiting but resolution capture, flashback recordings and stream command are features that are still present. I have already tried to explain the different types of cards used for video capturing. Listed above are the best internal capture cards so far. About to be listed below, are the best ten trending external capture cards. This list will go a long way to help our audience make informed choices on the kind of external capture cards to get. External capture cards can be used for multiple computers, and this is a very huge advantage for it. They are so portable and can be taken from one place to another. The hardware that does the actual capturing is enclosed within a hard casing. Some of the external capture cards available have internal memory and card slots so they can actually capture and record gaming clips without a computer. External capture cards also record in standard definition or high definition. It is compatible witth game consoles like the PS4, Xbox One, Xbox 360 and Wii U. It has video graphic resolution of about 1080p with 60 frames per seconds. It supports other graphic resolutions like the 1080p for 30 frames per seconds, 1080i, 720p for both 60 frames per seconds and 30 frames per seconds, 576i, 576p and 480p. Very efficient file USB 3.0 for file transfer. Can live stream to Twitch and YouTube instantly during or after game clips has been recoded. It streams with a very low latency technology. You can carry out a lot of editing on the file that has been recorded. Some of these editing includes webcam addition, overlays, changing the scenes of your video clips, do a voice over the recording and add audio commentaries. It supports windows 10 64-bit computers or a macOS Sierra 10.12 or later. This device is worth every amount spent on it. It has a sleek and stylish design with a pirple S attached to the HD60. That’s sheer class. Works very well with recording and streaming from PS 4 and other gaming consoles. Uses graphic resolutions of 1080p and 60 frames per seconds. There is no limit to the amount of capturing that can be done on a PC or a Mac. Supports the retroactive or flash back recording. Can stream live to YouTube and Twitch using built-in features. Overlays and webcams can be added to improve recording options. Has built-in live commentary functions and supports recording for multi-track. USB and HDMI cables comes with this elegant device. You think this card isn’t really there yet, there is good news. Subsequent updates of this card has seen these technical issues being resolved. While recording, the miles for which data should run through could also pose a challenge for this capture card. Works very well with Xbox One. Records both video and audio files. Records with 1080p quality and has HDMI pass through ability and YBPBR inputs. Records clips directly into hard drives using USB ports. It supports up to 128G worth of memory extension through USB drives and 2G for hard drive storage. With component or HDMI cables you can make audio conversations over video recordings using plugged in microphone. After recoding, you can share the videos recorded with fellow games and friends. Apart from the 1080 feature, some gamers still prefer to buy the Elgato series especially for better YouTube and Twitch streaming. Apart from the PC, mac and Xbox One and Xbox 360, it also supports PlayStation and Wii U gaming consoles. It has advanced encoding of H.264. Supports the flash back and retroactive recording feature. Record and capture gaming contents on YouTube, Twitter and Twitch. Game consoles have direct inputs for the component adapter, USB cables and the HDMI cables. For the market value of this product, Elgato did a very wonderful job with its features. What it lacks as an external capture card is not too far behind from the other superior devices. Since it has USB 3.0, recording in HDMI becomes more interesting. Apart from game consoles, it can also be used for blue-ray players due to its HDMI output and interface. Hardware upscaling and downscaling is made possible wit capturing graphic quality of 1080p and 60 frames per seconds. Automatic conversion to 48KHz of audio file format is also possible. Audio and video file formats can be recoded externally and transferred into the HDMI ports, making it possible to share and save with compatible devices using the required OBS studio software. It is a very affordable means of sharing file contents in meetings and conferences by just connecting a laptop and requires no software installation. With its plug and play features, no external power is required, it has low latency technology for gaming and you can share content with online audiences using social media. As you can see, the things you can achieve with this external capture card are many. Not just for gaming, it can be used for PCs and blue-ray devices. This capture has the ability to captures the gameplay to your screen and then you can use your capture kit to transfer it to your external memory or disk for streaming. This external capture card supports devices like the 3DS, 3D SXL, Wii U, and PS Vista. The software it comes with allows you to view videos at the upper and lower part of your screen as well as the upper part only even in 3D displays. It displays game clips at a very impressive 60 frames per seconds. Windows and mac OSX allows for stereo audio output support. After assembling the capture kit, data will not be lost on your system. This device provides the solution for recording from mobile devices which a lot of consumers have been yearning for. You can record audio inline. You can replay clips with 3D television sets and VR headsets. You can easily adjust the size of the display screen. Compatible with any 3DS model. It comes with a built in NFC reader. Playing video game with portable devices on the go is quite entertaining, but when you are home, you should be able to transfer your gaming experience to your big TV screen without losing graphic value. This device should be your next point of call if you fall into this category. Records analogue signals and transfers them into digital signals of VCD or DVD. It has a wide range of support for media file formats and supports various audio and video devices. Uses Storyboard software to edit, organize and highlight video clips. Compatible with a lot of systems and setups as it supports Windows XP, Vista, 7, 8, and even windows 10. It can work with processors as low as Intel Pentium 4 and Pentium M with a frequency of 2.0GHz to 2.4GHz. Compatible with PSP Playback and iPod. Video Nosie cancellation with the H.264 format authoring. However, if the software that comes with it refuses to perform some of the functions expected of it, then it is required that you upgrade or switch to other compatible software. While recording live and in HD, you can experience the 4K pass through effects. It is compatible for both PC and game console recording and streaming. You can add audio commentary while recording and streaming with your headset. You can also capture your ongoing chats with your gaming consoles. This feature allows flexibility, ease of access and affordability. With the 4K pass through, it will help consoles and systems boost their overall display. The only con to this device is that it does not have HDR to its pass through. So if you want to harness this feature, you will need a splitter or additional adapter. It records audio and video in 1080p with full HDMI pass through. After recording, files can be converted from High Definition to digital formats. You can play and record video games simultaneously without hitches. You can stream into social media channels like YouTube and Twitch. Has a button on the top surface that allows you record or do a screen shot with just a single click. Uses plug and play to record and pre-installed software for voice commentary and multi-language support. This device is compatible with a host of game consoles, PC computers, Blu-ray DVD players, DVR and set up box. With the affordable price range of this external capture card, you can record and stream live with little or no considerations. High end gamers might not find it intriguing, but gamers who are entering the gaming industry through YouTube will find it entertaining. You can record and stream videos from PlayStation 4, Xbox One, Xbox 360, and Wii U gaming consoles. PlayStation 3 compatibility with older versions of the capture card. Renders at 60 frames per seconds with 1080p graphic resolution. You can capture unlimited data using the USB into your desktop or laptop. It also features retroactive and flashback recording. This device is handy, as you can also record and share clips with family, friends and even online competitors. It is a capture card for the next generation. The downturn however, is that it does not display with 4K resolutions, only works with 64bit systems and does not support Linux. Users have also complained of stuttering when playing and recording, but if Elgato can work on all these, then this could be a real game changer. Despite the amount of explanations given, a lot of users still ask questions as regarding capture cards and how they work, or solutions to the technical challenges they face during and after installations. Capture cards are simply devices that records video signals from external devices using a HDMI interface. It helps users to capture, record and stream their gaming experience from gaming consoles like Wii U, PlayStation 3 and 4, Xbox One, Xbox 360 and the likes, using platforms like Twitch and YouTube. A capture card therefore behaves like an input device for collecting data. Since some of these capture cards have encoding abilities, they also help to process the video and audio signals sent to it. The kind of recording and streaming you want will determine the type of capture card you should buy. 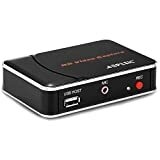 If you want to record and stream live and in HD, your capture card should be built for that and your TV device should be the type that supports HD viewing with suitable HDMI ports and interface to go with it. The more recent your capture card is, the less troublesome it will be to you, as manufacturers are also looking for new and improved ways of enhancing their products. If issues actually occur, you can trace it to the fact that the user probably did not use the correct equipment where necessary. Like not using the right USB cable or their TV not having a HDMI port. Users should bear in mind that there are a lot of electronic devices out there. So, it is their responsibility to get the right equipment that fill match each other to produce the desired result. Another technical issues usually faced is that sometimes, users do not take the time to look out for the actual system specifications of their capture cards and do not read the user guide on steps to install them. You can also refer to channels like YouTube to help guide you on what to do if you get stuck while carrying out an operation. If you still face this technical issues, you might want to contact the support centre of your capture card for further troubleshooting. 2 High Definition Multimedia Interface (HDMI) cables. Any PlayStation, Xbox, or Wii U gaming console. A desktop or laptop computer with at least an Intel Corei7 processor. Very efficient internet connection of about 10Mbps for 1080p resolutions and 5Mbps for 720p resolutions. Connect your game console to the input of the capture card using the HDMI port and cable. Connect your TV set to the output of the capture card using the HDMI port and cable. 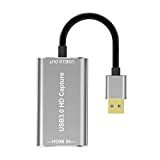 Use the USB to connect your PC to the capture card. Follow all these steps and you are good to go. Game recording as the name implies, means to record the clips of your video game as you play. This can be done by setting up two computers. One for playing the game and one for recording. The primary computer is the one being used to play the game while the second one is the one doing the actual recording through the capture card. Capturing software on the other hand, is used to record game play on the same PC that is being used to play the game. The downside of this is that it affects the performance of the computer as it might begin to stutter. But the benefit is that it is readily available and is way cheaper. As for game recording, since two PCs are being used, the secondary computer used for recording does not alter performance of the primary computer used for playing the game. Before you can choose the best capture card to buy there are some factors you will need to consider. These factors will guide you to make a decision based on what you have and what you need. Factors like your internet speed, the game platform you are using and the whether to use an internal or external capture card will be considered here. using internal or external capture cards come with their own advantages and disadvantages respectively. Internal capture cards are connected directly to the mother boards of PCs and therefore guarantees a faster connection. The downside of this is that it cannot be moved about easily due to the reason already pointed out. External capture cards on the other hand, is portable and can be carried around but has slower transfer speed. So this is the thing. If all the devices you want to use for the capture and streaming can be connected to your PC, then you should get an internal capture card. But if this is not so, you might be needing an external capture card. If you also want to stream live with an external capture card, buy the one that has USB 3.0. It’s like a go-between the PCIe and the USB 2.0. PCIe is definitely the best but USB 3.0 can still give you what you need. Permit me to reiterate the fact that gamers who use their PC for gaming do not need a capture card to stream video recordings as the graphic cards and the CPU can handle this. But the issue with this is that it could affect the performance of the PC. The impact of this can be so annoying that it could affect the frames per seconds of game play. Rectifying this issue is quite simple. You can just test run the capturing software you intend to use to its maximum potential and then see how your PC will react to it. But if you are a console gamer, then it is an entirely different story as you definitely would need a capture card. This is important because the game consoles are not strong enough to handle game graphic rendering and process its video simultaneously. So the capture card will help take care of this problem for your console. You should also consider your console’s power and build in knowing which capture card to get. If you use a slim console, then you have no business with 1080p 60 frames per seconds capture cards, because it won’t even work. But if you have big consoles like the PS4 or Xbox, then you can get the appropriate capture cards to go with them. The better your internet connection the lesser the frustration you will have while streaming your captured videos, more so if you are streaming live and in HD. Different video resolutions have different approximate upload speed to go with them. 3 Mbps should be okay for 480p quality, 5Mbps should be alright for 720p HD quality, 10Mbps should be sufficient for 1080p HD quality and 25Mbps would be essential for 4K ultra HD video quality. So before you get a wonderful 4K capture card, make sure your internet has the bit rate for this. You can use a Wi-Fi extension if you have a good reception on your Wi-Fi but it’s quite far away from where your computer is. Before buying a capture card, especially one that was not put on the types of internal and external capture card list, then here are a few things to consider before making a purchase. Type: the first thing you want to consider is if you need an internal PCIe capture card for your gaming PC or you just want to go for portability and mobility in the form of external capture cards. Apart from this, you should also consider the video resolution of the capture card you are planning to buy. It has to be consistent with the equipment you use for gaming. Resolution: you have to know the amount of resolution that the capture card can support for optimal usage. Some of them come with 1080p and 60 frames per seconds resolution while other come with 1080p 30 frames per seconds resolution. As we have seen some capture cards come with a whooping 4K video resolution. Whichever one you get, make sure it’s not underwhelming or overwhelming for your gaming console. Software: when you buy a capture card, you will notice that most of them come with their own software package which is fine and cool. But if you want to do some real crazy editing and personalization of video clips, you might want to switch to a better and higher software. OBS or XSplit can help you achieve this plus some streaming advantages into YouTube and Twitch. You will then need to get capture cards that can support these. Ease of use: this is really essential for gamers who are new to the streaming business. There is no need to get a capture card that is too elaborate. Get a capture card that will be easy for you to find your way around and you can do some troubleshooting yourself if the need arises. Price: for their size, capture cards can be quite expensive. But you can get one for a budget price and it will still give you the basic features you need from a capture card. Professional gamers would prefer to go for the expensive ones because they know they will be getting their money’s worth. I have been able to show you that different capture cards perform different functions. Know which one to buy can be quite confusing. So here are 5 steps to guide you when you actually go for it. You will have to make a decision as to what you actually want to use your capture card for. Do you just want to convert from VHS to DVD/VCD or you want to record and stream live and in HD? Whatever function you want is readily available from a capture card. All you need to do is choose. You also need to consider the fact that you might be needing either an internal capture card or an external capture card. External cards seem to be a lot more flexible because of its size, mobility and plug and play functions using USB. As the name implies, an internal capture card will need you to literally open up you PC and installing it using the PCIe. Although they need more expertise on computer hardware to install, internal capture cards are faster, cheaper and offer up more advanced functionality. The type of input you want also matters. While some can only handle analogue or digital recording, others can handle 1080 60 frames per seconds in High Definition. However, there are still others that can handle up to 4K video resolution. All of these are readily available. It just depends on what you really want. Before buying, you might want to look up the software bundle of the capture card. Some have features like retroactive and flash back recording, audio and video editing, live audio commentary, one touch button to upload recorded clips to platforms like YouTube and Twitch, and so much more. Others don’t have all of these. They just have combinations of some of them. It’s always good to learn from the experiences of people who have bought or used the same capture card you are trying to purchase. These reviews will show you the pros and cons of the product in a glance. Check websites and blog to read reviews of a particular capture card or watch YouTube to check out some of its features and specifications. Make sure you do a proper set up of the whole system. Connect cables into the right ports in which they are supposed to be in and use the standard cables for connections. Clean of dirt and dust also and make sure your devices are kept in a cool dry place. Make sure you always check for availability of updates for your software as manufacturers tend to change the performance of their software by fixing bugs and improving the general features and performance of their software. While streaming, you don’t only need a state-of-the-art capture card. Importantly, you also need a very fast and reliable internet connection. We all know how frustrating it is to work with slow internet connection. You can refer to the internet speed requirement written earlier in this post to see the amount of internet speed required for each resolution size. Apart from reliable internet speed, you will also need a computer with a very wonderful processor. Intel Corei7 seems to be the order of the day, but some capture cards still work with Core i5 in its 4th generation. Recall that it is still your computer that will do the editing and the streaming of the clip you have done. So you will need it to come with its A-game. Seems like a tough question, right? Well, this post has been all about you making the right decision when it comes to buying a capture card. It is therefore down to the specifications you want as per the budget you have in hand. Some gamers have already tipped the Elgato HD60 Pro to be one of the best capture cards right now but comes with a somewhat steep price, and the Roxio’s Game Capture Card as the one that comes with a budget price. Some capture cards already have 4K video resolutions with 60 frames per seconds, retroactive and flashback recording, H.264 low latency technology and all what not. But I think the capture card for the future will let you access a lot of features on the go from one screen instead of minimizing and maximizing rigorously. You can therefore multi task like a boss and perform a wide range of operations with one touch settings. Elgato already has a product like this called a Stream Deck. Some even consider it not to be a capture card, but I think if we are talking about capture cards for the future, Elgato Stream Deck is already making a strong case. Manufactures are flooding the market with all sorts of capture cards. You don’t even know if you should go for an internal capture card or you should consider an external capture card. Some capture cards are so enticing with their 4K optimal resolutions that you want to turn a blind eye to the normal 1080p resolution. 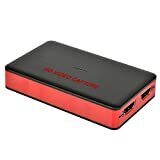 Whatever the case is, a good capture card should allow you to capture, record and stream live and in HD from your gaming console or PC quite effortlessly. I sincerely hope that this entire post will guide you to make an informed decision on the capture card you should buy based on specification and budget.